Fractions, Decimals, and Percents Study Buddies(TM) are the perfect size for binders and notebook cover concept reminders. They can be used for desktop references, homework helpers, study tools and center resources! 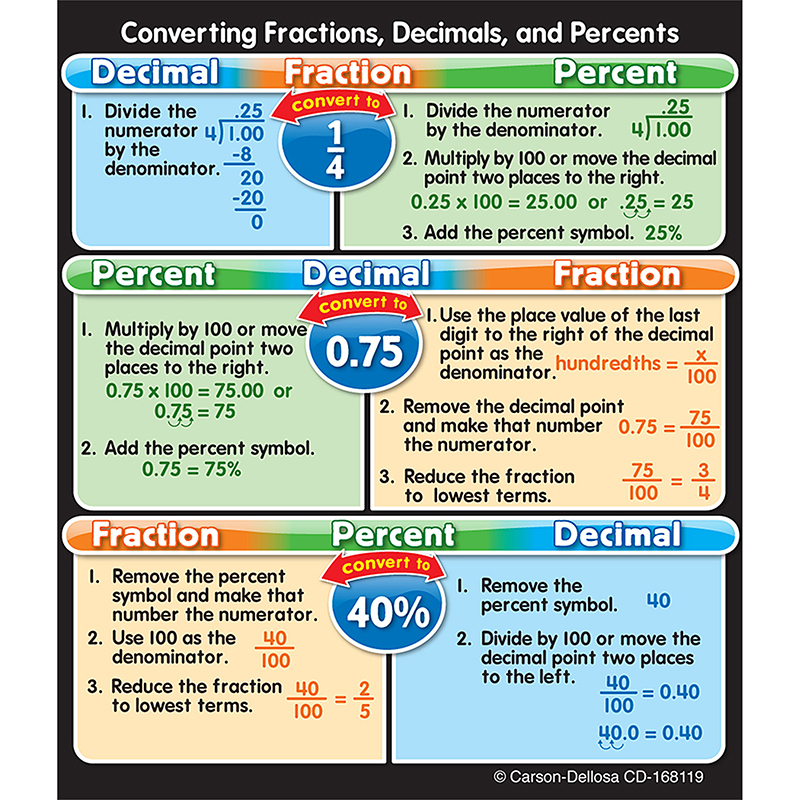 Students will have ready reference to help with fractions or other math problems right at their fingertips! Includes 24 self-adhesive stickers.